The first time I talked with Tina I felt like she was someone I could trust and depend on. I knew I wanted her to help me find a home. She is a caring, very knowledgable, professional . You truly feel that she is there for you 100 percent and then some, to ensure your home buying experience is what it shoud be. Tina made my home buying experience the best it could be. I will tell everyone interested in buying a home about my experience with her. I feel as though I have also gained a dear friend. I certainly don't want our relationship to end. I cannot speak highly enough of Tina and about what a fantastic experience I had working with her. Trying to buy my first home in this ultra-competitive market was scary and at times felt defeating. After searching for almost a year with another agent I found Tina, who immediately made me feel so much more at ease and hopeful of finding the perfect place for me. As a single first time home buyer who can be quite indecisive and needs time to process and make decisions, Tina was patient and took the time to make me comfortable about all of the decisions I was making and in the end helped me find the perfect house for me. Tina is extremely reliable, friendly, honest and always makes you feel like you are her top priority and only client. Tina is the best and I could not recommend her more highly! 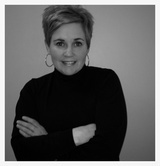 Tina Crowley is an exceptional person and realtor! Tina made me feel as though I was her only client. She made herself available in person, via email, text, and telephone. She sold my townhouse the first day she had an open house. I had a different realtor a few years prior and I was asked to accept a 40,000 loss. Tina sold my property with a 25,000 profit! While selling my townhouse, Tina found my forever house and negotiated an amazing deal. It's absolutely perfect for me...I love coming home at the end of a long day. Tina is the best in the business...you will consider yourself fortunate to have her in your corner! My husband and I had an absolutely fantastic experience working with Tina. We were first time homebuyers and when we began the process we had no idea what we were doing. But from the moment we met Tina, we felt so much more at ease with the whole process. Tina listened to all of our criteria and wants vs. needs and showed us dozens of different types of places until we found the one that was perfect for us. She was always incredibly responsive to our questions and was always available to set up appointments to see homes with us. We always felt like her top priority. Thanks to Tina, we found our dream home. She also referred us to an excellent mortgage broker and attorney, and the whole team made our closing a breeze. I recommend Tina without hesitation. She is a superstar and anyone would be lucky to work with her!